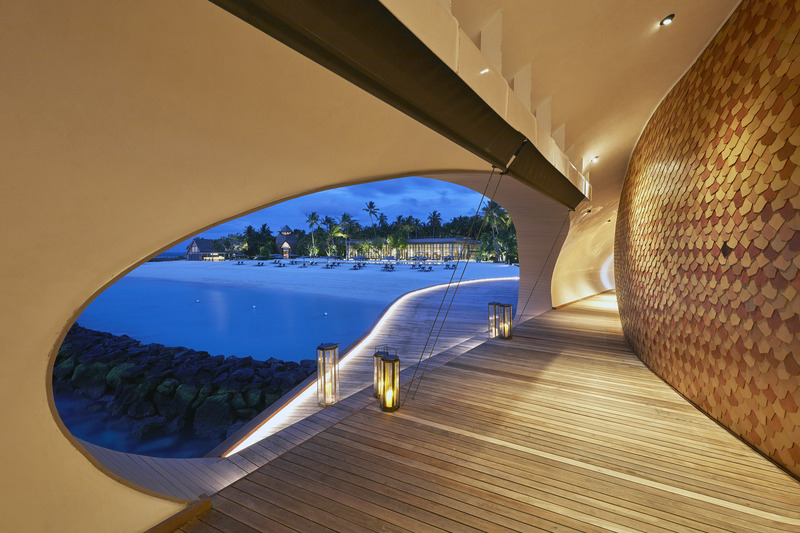 This week’s instalment of the #SBIDinspire series features the breath-taking ‘Whale Bar’ designed by WOW Architects. We spoke to Wong Chiu Man (Founder and Managing Director) of WOW Architects about this extraordinary project, our overall winner of the SBID Awards 2017. 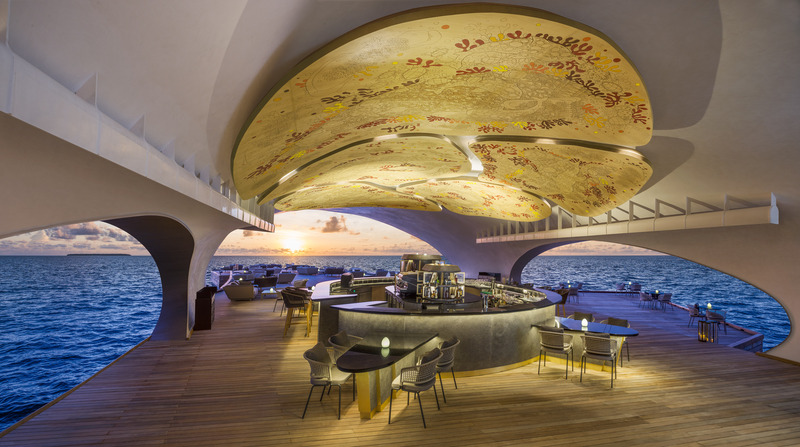 The Whale Bar’s iconic shape was inspired by the majestic whale shark. This imaginative yet elegant retreat is elevated by light oak interiors and a softly lit neutral palette. 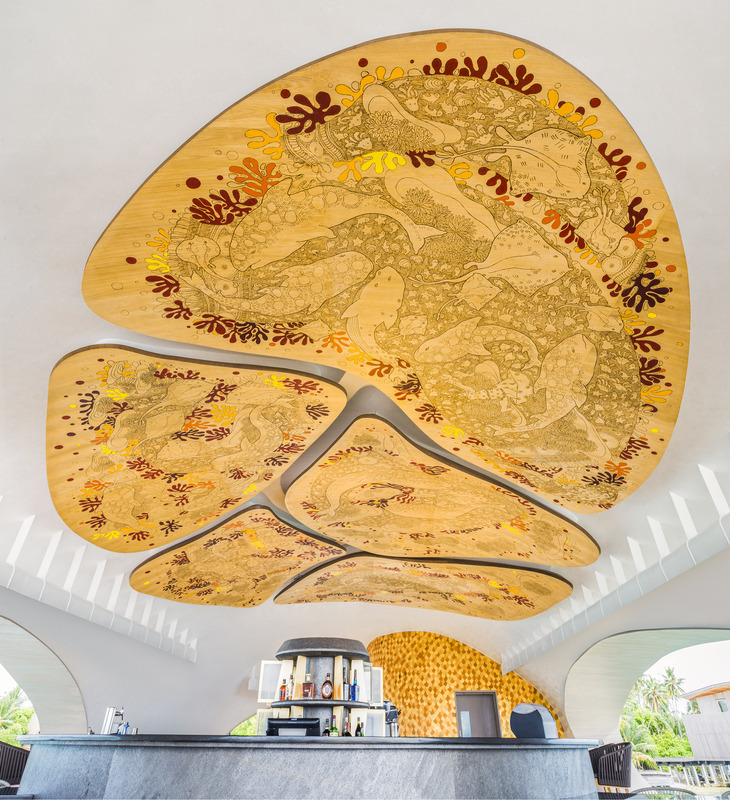 The use of fish scale inspired timber shingles around the kitchen and smooth iridescent stucco inside the “body” of the whale emphasises the marine iconography that is unmistakable. The team endeavoured to make as many aspects of the project as sustainable as possible, up-cycling and recycling wherever appropriate, focusing their attentions on highlighting the fragility of the surrounding environment within their design in the hope that this would motivate guests to contemplate the creation of a responsible future for the next generations. 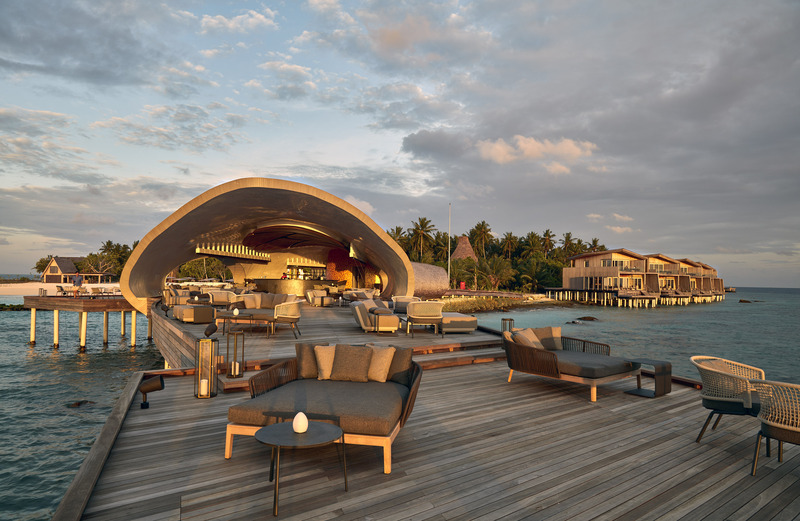 The clients desire was to create a resort destination that would standout from the existing resorts in the Maldives and be commercially successful. After much research and discussion, the components of the brief were decided upon, the master plan designed and construction started. 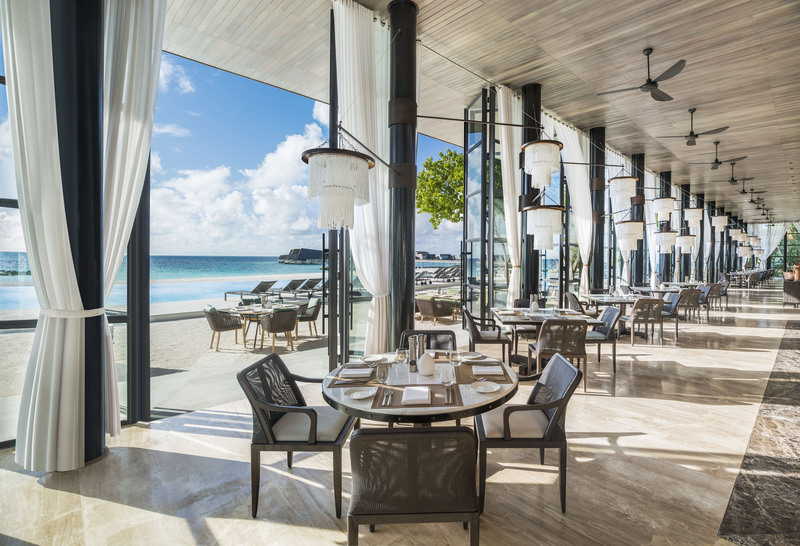 Upon appointing the St Regis as the operator, the brief was evolved further and refined, and improvements were made to fully achieve the brand’s potential, and the clients vision for a leading resort hotel. 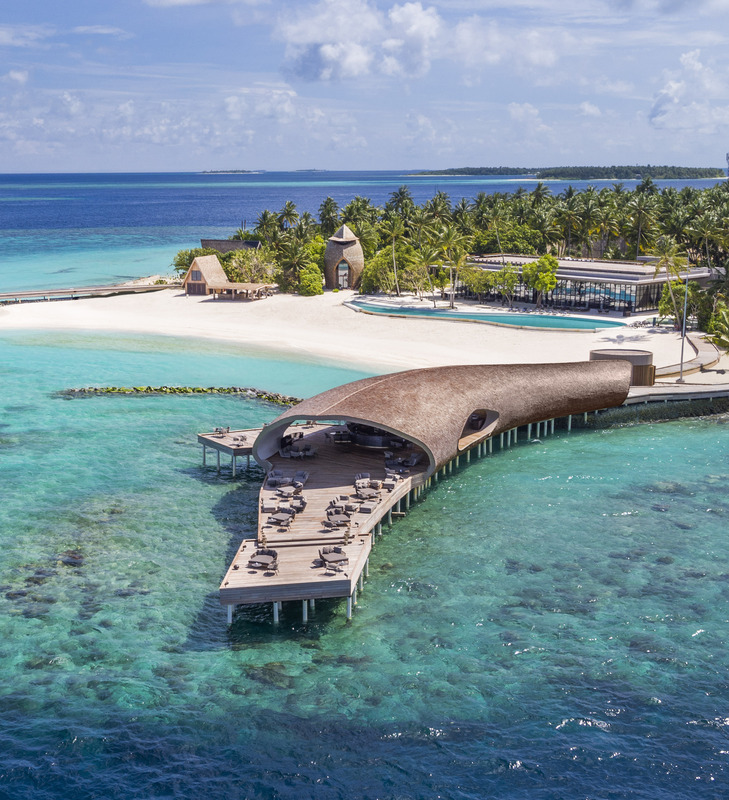 After visiting many resorts in the Maldives, we understood the evolution of resort design throughout the last twenty years. 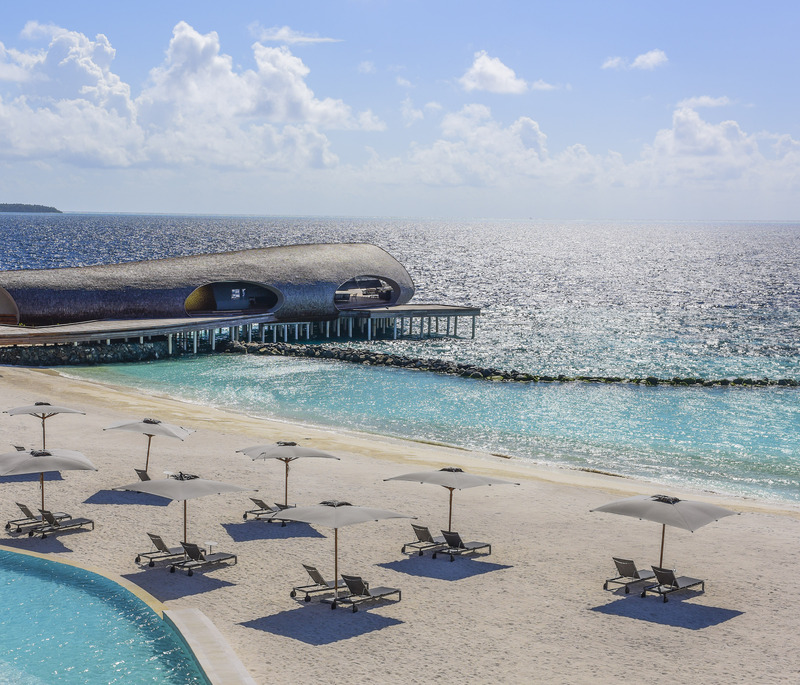 The latest and best resorts had a strong ecological aspect but still stayed within the realm of design inspirations from the human perspective. 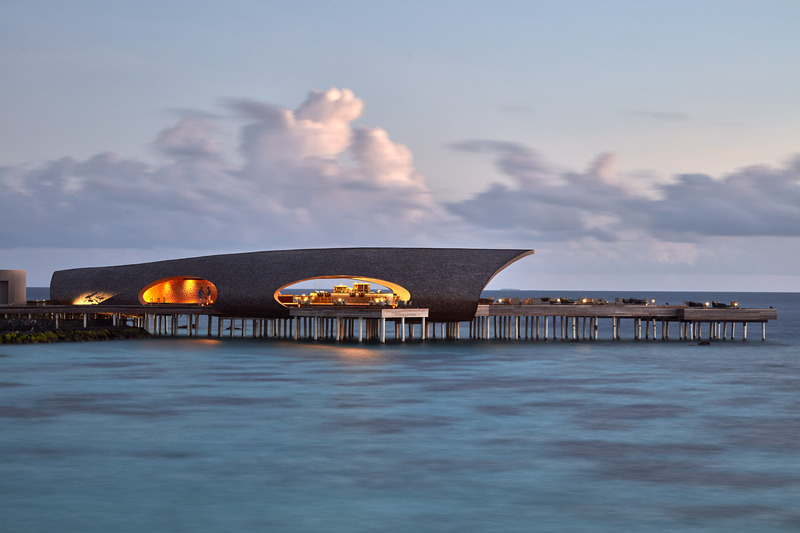 We saw an opportunity to create even more eco awareness and draw inspirations directly from nature itself, and to pointedly draw attention through our design to the fragility of atoll and marine habitats in particular. 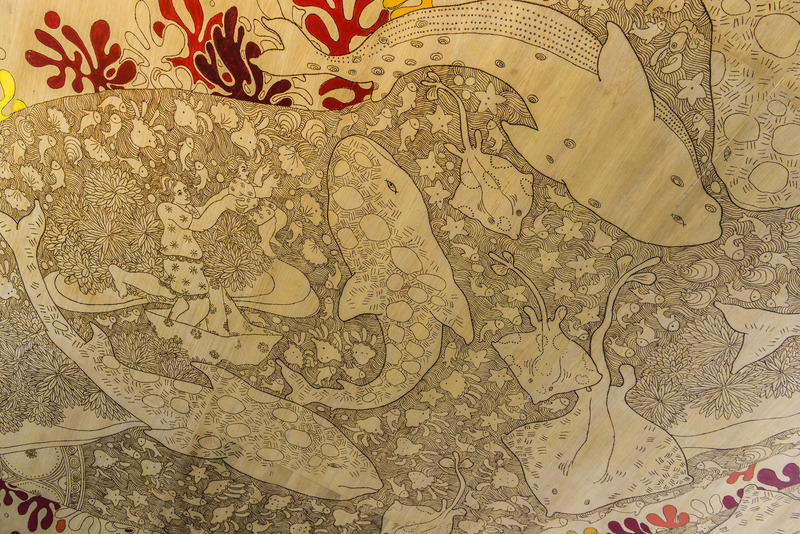 Thus, the design evolved through our inspirations and observations on atoll ecology and marine biology. We hope that the design will uplift and motivate our guests in creating a responsible future for the next generations. Building sensitively with minimal waste and consideration for protecting the islands ecology was by far the biggest challenge. Efficiency and speed minimises waste and the logistic and carbon footprint on the Maldives and resources we needed. Despite using all forms of prefabrication and eco friendly materials, up-cycling and recycling, the longer the construction time is, the larger the waste footprint. Our challenge on a daily basis was to find affordable and intelligent solutions to minimise the waste while achieving a high standard of construction and finish. We had many highlights over 4 years. From the beauty of the sunsets to the drama of the storms, and the pleasure of seeing and preserving the island and the marine life around us. However, an unexpected reward was how we were able to connect with the villagers from the neighbouring islands by offering them employment and gaining their trust and respect. They were instrumental in minimising waste because they up-cycled many leftover building materials and packaging materials into their villages and our project actually improved the villagers lives. This was truly sustainability in practice. We hoped to gain recognition for a project very close to our hearts and wished that by winning an SBID award, we could not only celebrate the design, but tell the meaningful stories that made the design possible. For receiving the overall winners award, we are extremely proud and grateful, but also humbled by the quality of the other winners. Questions answered by Wong Chiu Man (Founder and Managing Director) WOW Architects.